Hey everybody! Just wanted to share a new layout that went up in the Garden over at Two Peas In A Bucket today. The theme this month in the Garden is Valentine's Day so I created this loved themed layout with some recent photos of my hubby and I from a family photo shoot this past fall. While these photos were not taken on Valentine's Day they definitely fit in with the theme as they are a true reflection of the love I have for my husband. 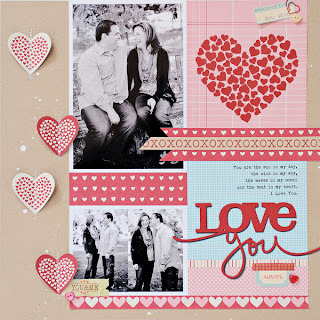 Most of the products on this layout are from the With Love collection by Pebbles. 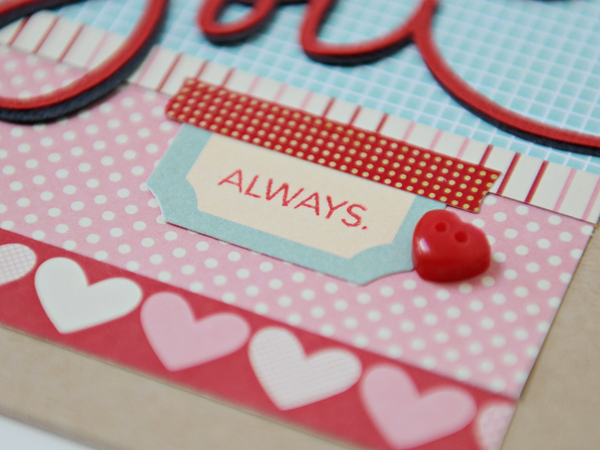 I love the combination of kraft with the traditional pinks and reds of Valentine's Day. 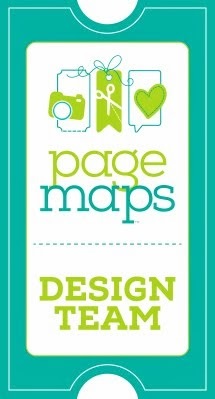 I added some blue in there to spice things up a bit and it really helped my title and journaling block stand out from the rest of my layout. 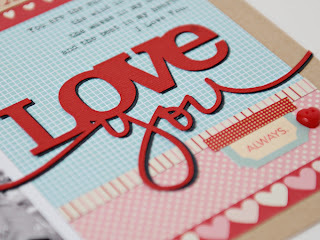 You'll notice the main embellishment on my page is a large heart made up of lots of tiny punched hearts. I was inspired by one of the patterns of the papers in this collection and decided to recreate it with this large embellishment. 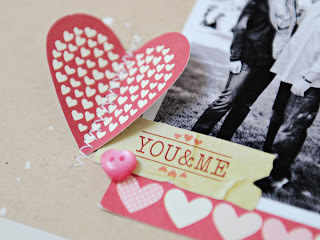 To achieve this look I simply die cut a large heart using my Silhouette and lightly adhered the negative (or the surrounding paper) to my layout. 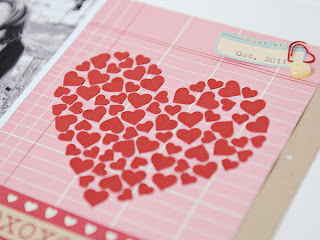 I then punched out lots and lots of tiny hearts and filled the negative space with them. 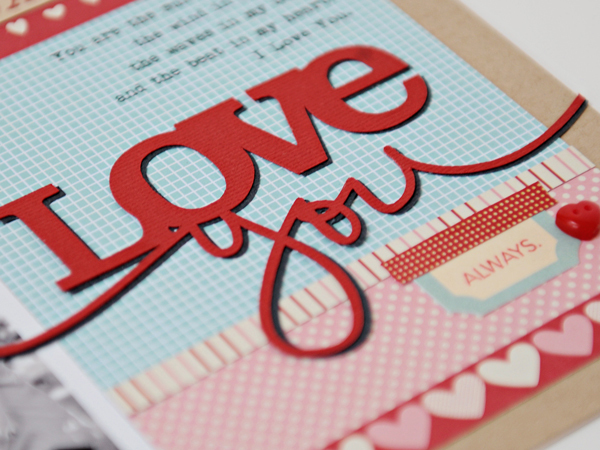 Once I was done I carefully peeled away the die cut and voila! My heart filled heart was complete! My title was also created with my Silhouette. I cut my images twice - once in red cardstock and once in gray cardstock - and then layered them together to give the illusion of a bit more depth and dimension. No layout of mine would be complete without label stickers from October Afternoon and some bit of stamping using my Technique Tuesday stamps (love those things!). And I just adore the tiny heart button from Pebbles - so cute! Really love this layout! Love the little hearts creating a big heart! Thanks for sharing! Gorgeous! 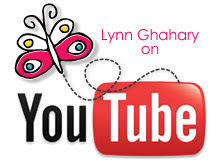 Thanks so much for sharing your secrets!! I LOVE that heart!! Gorgeous LO! 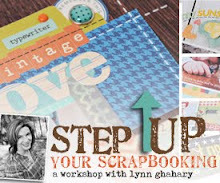 Love that you scrapped you & your hubby! I love it!!! The pictures are so cute and the big heart on the right is beaufitul!